Second Life is one of the most popular free-to-play virtual world games in existence and there are plenty of good reasons that support its claim to that coveted title. Hence, it is no surprise when Linden Lab, the developers behind Second Life, announced that they will be bringing Second Life to virtual reality last year. Dubbed as Sansar (they’ve dropped the word “Project” from its previous name), the developers aim to not merely “port” the game over to VR but instead create a whole new virtual world game that’s specially designed and built from the ground up to make gaming in virtual reality actually comfortable and fun. If you’re interested, you can read all about Project Sansar in an article we wrote. However, since Sansar is yet to be released, we’ll be doing a short review of Second Life instead. Being a social virtual world game, Second Life allows you to be whoever you’d like to be by giving you an avatar that you can fully customize, along with the anonymity that comes with it. The customization aspect in Second Life is simply incredible. Not only can you change your avatar’s outfit whenever you feel like it, you could even adjust the features of your avatar itself by for example changing its height or even the size of its tummy. To make the virtual worlds its players live and breathe in more realistic, Second Life also provide players with a ton of interactive objects, allowing players to be able to drive cool sports cars or float around in a pool with a pool tube. There is even a myriad of virtual worlds that are beautiful, fantastical and, for some, completely out of this world which you can explore and enjoy. Different themed worlds will cater to different types of players, but considering the huge number of worlds available, it’s almost impossible to not find a world you’d like. If you’re the creative sort and happen to have lots of Linden Dollars to spend, you might want to consider renting or buying yourself some space in the game and create your own virtual world for other players to have some fun in. 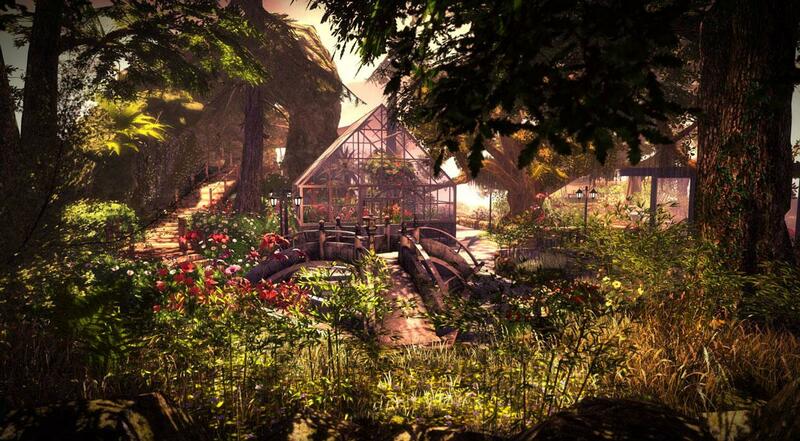 Not to mention, Second Life is also a community-driven game. A large portion of the items and worlds that you see in the game are created by the players themselves. It’s not too difficult to start creating your own items in Second Life, especially if you have good artistic skills and talents. You might be able to sell off some of your creations at the marketplace for a good deal of Linden Dollars too! Of course, let’s not forget about the best part in Second Life – the community! Being a very social game, players are encouraged to communicate with one another using the game’s many modes of communications, such as text chatting or voice chatting. If you’re shy though, you could also use a voice morphing feature which will grant you an added layer of anonymity. The game is teen-friendly as well since younger players are barred from accessing any of the game’s adults-only sections. Meeting people and making friends is the core of the game, but there are plenty of times where players ended up bringing their relationships from the virtual world into the real one. In fact, there have been couples who met through Second Life and are happily married years later – both in-game and in the real life. Second Life is certainly an excellent example of a game that brings people from various cultural backgrounds together in a gigantic virtual community. Second Life is definitely a social virtual world game that deserves its spot on the pedestal, and due to this, the amount of hype over the virtual reality version of the game is quite huge. Hopefully, once it is released, Sansar will be able to live up to its predecessor and allow Linden Lab to dominate the genre on the virtual reality platform.